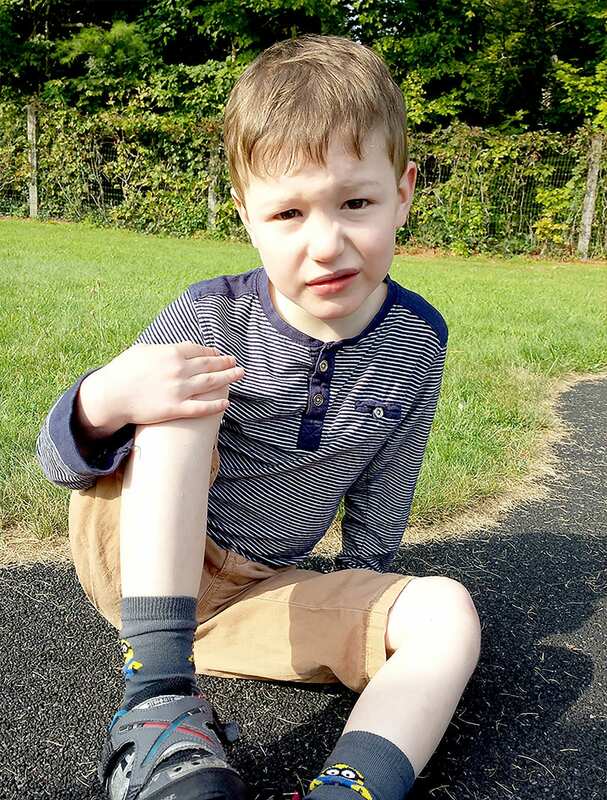 The following is an article written by Melanie Brazil, mother of Elijah, who for the last three years has spent a couple of weeks each summer up at Camp Anne. It was published in FACES, a newsletter focusing on stories pertaining to epilepsy and seizures sent out by the NYU Langone Medical Center. "Macadamias, pecans, walnuts"; unlike his twin brother Gabriel who asks for cookies, chips and candy, Elijah asks for nuts when he wants a snack. Elijah cannot have sugary snacks as he is on the high fat, low-carb ketogenic diet to help control his seizures. 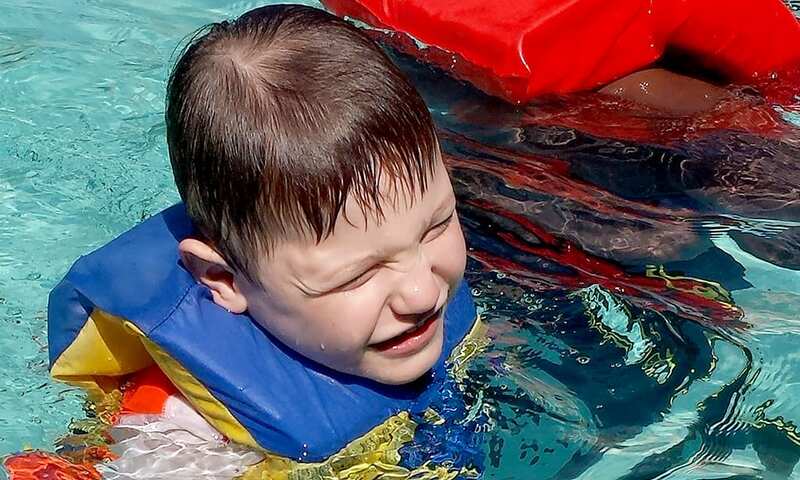 His special diet does not prevent him from participating in varied activities, and this summer, Elijah went to camp, along with a cold box full of his keto food. A recipient of the Dr. Blanca Vazquez Summer Camp Scholarship Program, Elijah attended AHRC New York City's Camp Anne for 10 days. This has been his third summer at the Upstate New York camp and he had some amazing experiences. His favorite activities were splashing in the zero-entry pool and visiting the lake. He also loved the horses and chickens. Elijah has been lucky to have the same counselor for the last three summers, and as a young camper gets lots of attention from everyone. 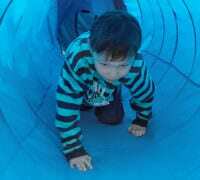 Elijah was diagnosed with Lennox-Gastaut Syndrome before his second birthday. He was experiencing multiple generalized seizures and went through many different medications. Without lasting seizure control the dosage levels of his drugs escalated and so did the side effects. For about a year, Elijah was bloated, drowsy and unable to focus for much of the time. Then Elijah's neurologist suggested trying the ketogenic diet - a prescribed medical diet that is very high in fat and low in carbohydrates. It is known that starvation can control seizures, and this diet mimics starvation by putting the body into a state of ketosis which forces the body to burn fat for energy instead of carbohydrates. The neurologist decides the ketogenic ratio, which defines how much fat compared to the sum of protein and carbohydrates is in every meal. Each meal is also calorie controlled, so the different parts of Elijah's meals must be carefully weighed out to the prescribed calories. After some reflection, I talked to staff at Camp Anne about Elijah's suitability and after the discussion and interview, they said they thought he was! The next hurdle was trusting the staff at Camp Anne to prepare Elijah's keto meals. Every component of a keto meal must be weighed so that each meal has the prescribed amount of fat, protein and carbohydrate, and every meal must be eaten in full. The easy answer was at first I didn't really trust them! For Elijah's first camp experience I sent down all his food with everything pre-weighed and assembled. But I soon relaxed as Michael Rose and his staff at Camp Anne are experts at looking after special needs children. They even have a chef who focuses on special diets. Since then, I have become more laid back and given instructions for the chef to provide and weigh some parts of the meals. Elijah was even allowed extra calories for special occasions at Camp, such as celebrating his birthday with a special keto-cake, and the last-night banquet. While Elijah was at camp, the rest of the family took the opportunity to take a regular beach vacation, and importantly Elijah's brother Gabriel, got a chance to get all the attention for a change and do fun activities too. Living life day to day with a precious special kid has its joyful moments, but it is also all-encompassing, so respite is hugely important. The wonderful thing about sleep-away camp is that it allows for family respite while giving a great experience to your kid. Even if your child is young, think about giving them this fantastic experience and give yourself a break at the same time. For now I can say that the last three years at AHRC's Camp Anne have been an amazing experience and I would recommend it to any family in this situation.